Ian Hughes is, as of April 2016 working for 451 Research as an analyst, Internet of Things. The following bio kept here for completeness. Ian Hughes a.k.a epredator when online, is a Metaverse Evangelist. He set about leading a band of like minded individuals and subsequently many thousands of colleagues in IBM into virtual worlds like Second Life in 2006, and beyond. This sparked the massive growth in interest from enterprises and press alike. As a public figure in Web 2.0 and a leading blogger on http://www.eightbar.eu-gb.mybluemix.net he has shown that leadership can be driven by the digital native and innovators can gather together regardless of geography or organization. Cultural and technology changes and new ways to operate across companies is a core theme. In 2008 he received the first industry award for Innovation in Virtual Worlds in the Enterprise . 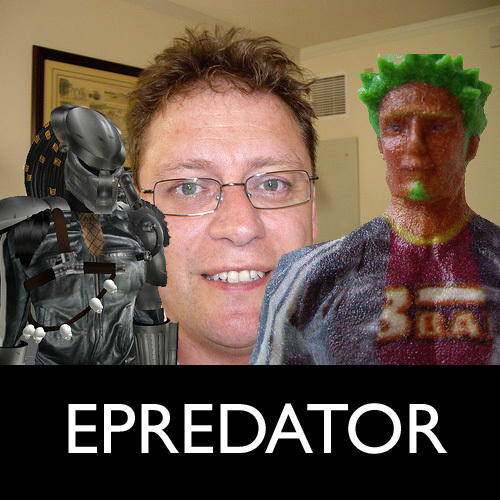 As a digital native his epredator persona spans many Web 2.0 places, blogs, PSN, WoW, Xbox Live, Twitter, Flickr, Linkedin etc. Understanding how to use that presence, still representing himself but with elements of theatre brought about by more creative expression online leads him to no longer be the programmer he grew up as. A former IBM Consulting IT Specialist who has worked on leading edge emerging technologies for the past 20 years, and now an independent consultant and director of Feeding Edge Ltd. A programmer since he was 14. As a gamer he has seen a massive increase in the capability and design ethics within games and the rise of online gaming. In 1997 Ian started working on all things web, changing his perspective on the technology and the business due the much richer mix of people involved in the web revolution. Graphic Designer, Producers and Programmers all having to work together. As a public speaker he shares his experiences both of the growing virtual worlds industry, the changes in culture, personal experiences of challenging the status quo and leading through doing. He wrote and presented a thread on emerging technology on the ITV programme Cool Stuff Collective by Archie Productions, covering 3d printers, haptics, scanning, virtual worlds…. First shown weekly Monday 13th September 2010 CITV (UK), with series 2 airing January 2011 on ITV1 8:10am. Series 3 started on 15th October 2011. Thats a total of 39 episodes. He is chairman of the British Computer Society Animation and Games Specialist Group. Promoting the games industry and associated technology within the BCs but also reaching out to the games industry to help provide professional recognition to the development community. In July 2018 he was awarded an Honorary Doctorate in Technology from Southampton University.